Heartworm Season is Here! Are you ready? 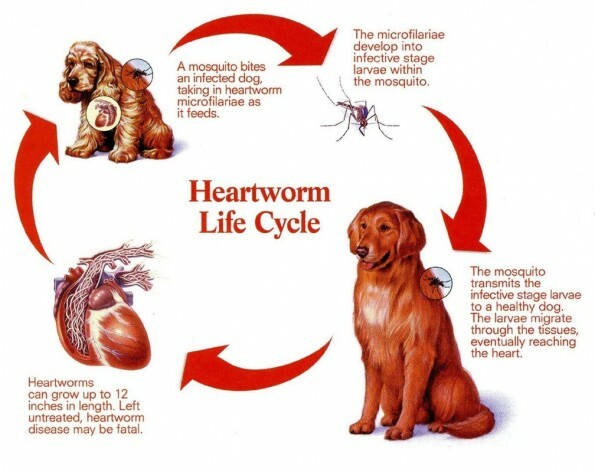 Heartworm is a parasite that is transmitted through the bite of a mosquito. 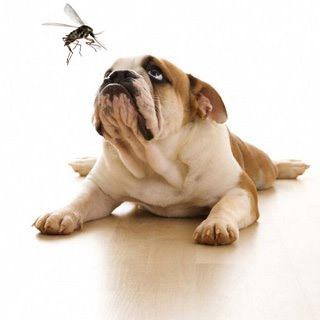 Heartworm is not transmitted from dog to dog; the mosquito is needed for the development of the worm. The parasite travels through the blood stream of the dog to the heart and adjacent vessels where they grow to maturity. A female heartworm can be 15-36 cm long and 5mm wide. The male worm is about half the size of the female. One dog may have as many as 300 worms! They live up to five years and during this time produce millions of offspring called microfilaria. It can take a number of years before a dog may show signs of infection and by this time the infestation is well advanced. The most common signs of heartworm are coughing, shortness of breath, weakness, lethargy, and loss of stamina. All of these signs are most noticeable following exercise. Diagnosis is made by a blood test; you can not see heartworm in your dogs’ poo. The parasites stay within the blood vessels. It takes 6 months for the parasites to develop to a level detectable by the test. The ideal time to test for heartworm is between April and June. Treatment is available for heartworm; however there are significant costs and risks associated with the treatment and strict rest is imperative after the treatment. Prevention is key! There are several affordable preventive medications available through your veterinarian. A simple blood test should be done prior to starting the medication to ensure your dog is not heartworm positive as some of the preventive medications can cause harm if given to a heartworm positive dog. The medication is given monthly during mosquito season (June-November). Please contact your veterinarian today to ensure your dog is protected! Written by: Ashley Kipling a Registered Veterinary Technician at Bloor Animal hospital.